Bounce houses and water slides...you probably won’t see these party attractions set up on the famous John’s Pass Village and Boardwalk in Madeira Beach, Florida but at any given time you just might notice one or more of our inflatable bounce houses gracing one of the park areas in the city of Madeira Beach. You might even notice that your neighbor’s backyard is in party mode with bounce houses from Done Rite Party Rentals. We are a local family owned party rental company with an assortment of bounce castles and moonwalks available for any and every type of celebration in Madeira Beach. Even though the town of Madeira Beach has an abundance of attractions and activities….the beach experience, fishing, boating and more…. sometimes you just need an alternative to the typical fun in the sun. Birthday parties are the most popular events for which Madeira Beach residents rent our inflatable bounce rides and water slides. 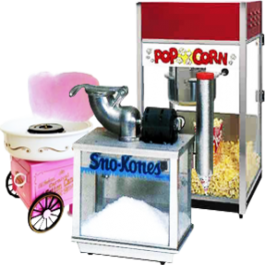 But we can also bring our inflatable party rentals to picnics, school affairs, church fairs, company parties and more. Our inflatable bounce rides come in an assortment of sizes and themes. 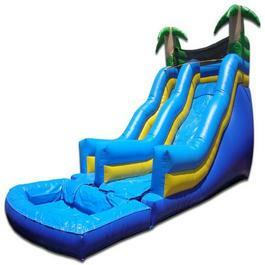 Our Water slides come in kid size up to adult size. 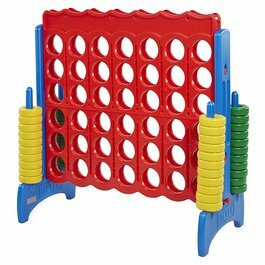 We have a variety of party games for your entertainment. 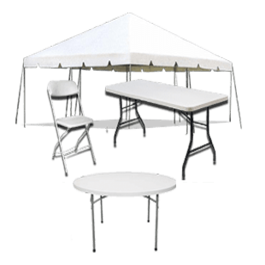 We can provide tables of different sizes to accommodate the amount of people. Every party needs chairs to seat the guests. Tents come in handy when the weather isn’t cooperating. Extra: for your convenience Done Rite Party Rentals offers the option of having our company supply cold beverages (soda and water.) Why make an extra trip to the local market for drinks when you can let our bounce house gurus do it for you? Our party rental service doesn’t supply alcoholic libations but once the big event has ended, you might consider a visit to the award winning Florida Winery in Madeira Beach. It could be the ideal ending to an already perfect day spent enjoying our inflatable party bounce units slides and games. Leave the little ones with the sitter and indulge in some grown up time. Get a thrill out of sliding down one of our water chutes. It’s fun and the chilling water is a great way to cool off in the Florida heat. 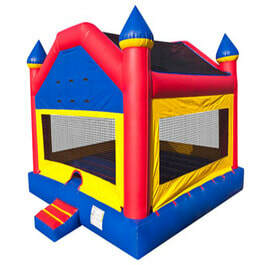 Delivery and assembly of our inflatable bounce houses and slides is handled by the staff of Done Rite Party Rentals. All equipment is anchored securely for safety. We conduct regular inspections to keep everything free of defects and up to date. For health concerns, all bounce houses and inflatable rides are cleaned and disinfected prior to and right after each use. Our bounce castle assembly team will arrive at your special event promptly and in plenty of time before the festivities start. Done Rite Party Rentals is a licensed and insured business and we comply with all Madeira Beach codes.